Discover career opportunities with Koelsch Communities by clicking the button below to view a list of current openings. Every organization's excellence depends on the people who work for it. We recognize that to reach our goal of excellence in providing a vibrant and healthy lifestyle for our residents; we must have motivated, well-trained and enthusiastic employees. 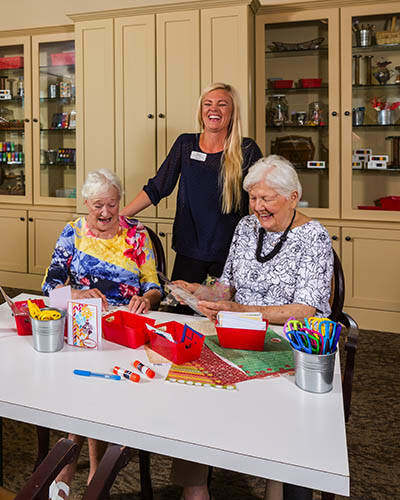 By working at Koelsch Communities, you're making a difference in people's lives — one of those intangible rewards that's hard to find. And at Koelsch Communities, we hope to make a difference in your life too. Respect is the driving force sustaining the culture: respect for our employees, their insights, and their ideas. At Koelsch Communities we believe that we are ladies and gentlemen serving ladies and gentlemen. In 1993, 16-year-old Don Barber thought he was just taking on a part-time job when he started out washing dishes after school at an Assisted–Living community in Victorville, CA. But bigger things were happening. Don was launching a career with the community’s owner and operator Koelsch Senior Communities. Today, after succeeding in a variety of Koelsch positions, Don serves as the Senior Executive Director of Sterling Inn, the same community where he started out with his hands in the sink. “The story of my career at Koelsch is the story of hope, growth, and opportunity,” Don says. Koelsch Communities, founded in Kelso, WA in 1958, is a growing, family-owned company with 23 senior-living communities in eight states. Second-generation CEO and President Aaron Koelsch, a dynamic leader, takes an active role in every aspect of the company’s activities. Koelsch offered Don a full-time job in the kitchen after he graduated from high school. Don seized the opportunity, quickly taking on more responsibility and rising though the ranks as a Dining Room Server, Dietary Aide (prep cook), Dining Room Manager, Lead Cook and Assistant Kitchen Manager. 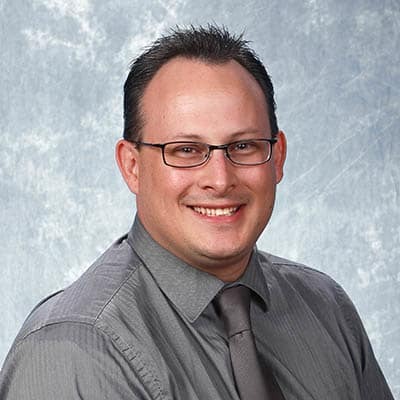 Less than three years after Don started full time at KSC, President and CEO Aaron Koelsch asked him to move north and accept a promotion to Food and Beverage Manager at the company’s flagship community, Delaware Plaza in Longview, WA. One year later, Don was promoted again to Food and Beverage Manager for a then-new Koelsch community, Canterbury Inn, also in Longview. Meantime, Don’s priorities were changing. He and his wife longed to return home to California, buy a house and start a family. “This is a family-oriented company, so leaders here understood,” Don says. After two years in Washington State, Don moved back to California, again with a Koelsch promotion in hand, this time to Corporate Food and Beverage Manager, supervising meal service for three California communities. For Don, it has been an ideal position. “I know what it’s like to do many of the jobs I now supervise,” he says. “I know the history of how we did things and it helps me problem solve. I thrive on the relationships that surround me, both with the residents and the staff. There are employees here who still remember me from my early days in the kitchen,” he says. Vice President of Memory Care and Resident Services Cyndie Bryant’s career at Koelsch Senior Communities began as a volunteer, went through a lengthy delay and then took off again after a period of deep professional despair. As a young girl, Cyndie knew she wanted to be a nurse and would tag along with her aunt who worked at a Koelsch community in Longview, WA as a Certified Nursing Assistant. “I would help pass out ice water and assist with meals. I enjoyed helping people,” she says. Burnt out and disillusioned, Cyndie quit her job and told her family she would never work in nursing again. Three weeks later, after every family member begged her to find an outlet for her considerable energy, Cyndie went on an interview for a part-time, night-shift nurse with the same company where she first worked as a volunteer, Koelsch Communities. Cyndie was hired on October 4, 1999. When the company learned about Cyndie’s background and experience, she was offered a Director of Nursing (now called Director of Resident Services) position instead. Cyndie’s career at Koelsch was off and running. New opportunities for professional growth were regularly offered to her. Within five years of that first interview, Cyndie was serving as both the Executive Director and the Director of Resident Services for two Longview communities, Canterbury Gardens (Memory Care) and Delaware Plaza (Assisted Living). She also relished the opportunity to interact with residents again. “I loved the relationships I found here,” she says. Remembering her own positive experience as a volunteer, Cyndie started periodically bringing along her teenage daughter April after school and during holidays and breaks. As the company began to expand into its current eight-state market, Cyndie was asked to write the manual for all Koelsch Directors of Resident Services. Then she was offered the opportunity to travel to new communities to help hire and train nursing directors and staffs as the company’s Vice President of Memory Care and Resident Services. “I’m passionate about setting a standard for excellence in resident care and then supporting our communities as they work to achieve it. We’re all on the same team at Koelsch. There’s camaraderie and loyalty here. And that can be hard to come by in the working world,” says Cyndie, who now enjoys an 18-year relationship with the company. Déjà vu all over again: Meantime, another Bryant career was beginning to flourish at Koelsch. Cyndie’s daughter April, who tagged along with her mom as a teenage volunteer, was hired as a Receptionist. Earlier this year, April received her first promotion: Head Receptionist/Human Resources at Canterbury Gardens. 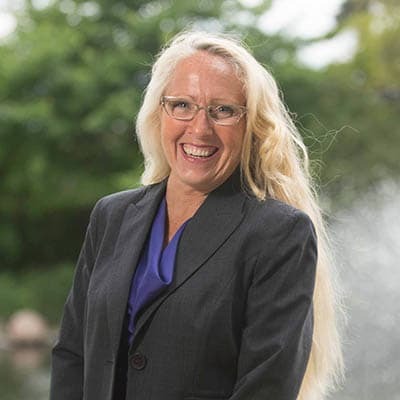 “I’m delighted and proud that April has found the same opportunity for professional growth and satisfaction at Koelsch Communities that I did,” Cyndie says. At Koelsch Communities we believe in empowering our employees. One of the ways we do this is by proving hope, growth, and opportunity to our employees. In fact, it would be hard to find someone at Koelsch Communities who has not experienced firsthand the hope, growth & opportunity we offer. Check Out a few stories from our team and how they have been empowered and encouraged and have grown in our company.